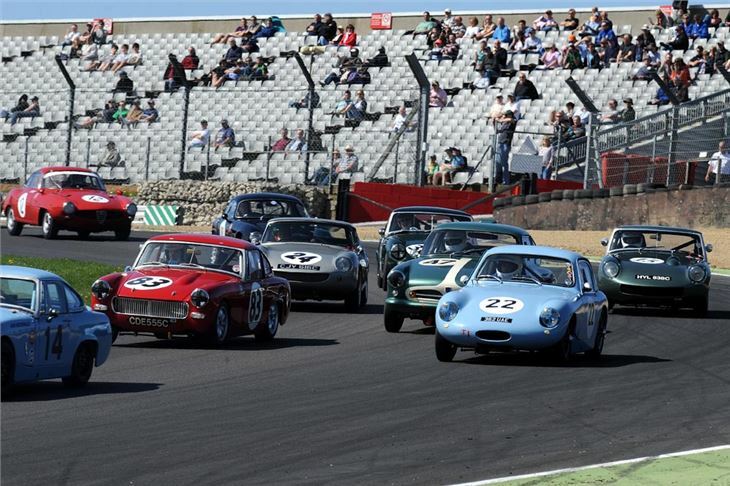 The long awaited debut for the HRDC 'Touring Greats' and 'Grand Touring Greats' Series promised much - and delivered in sensational style at Brands Hatch on Saturday 9 April. 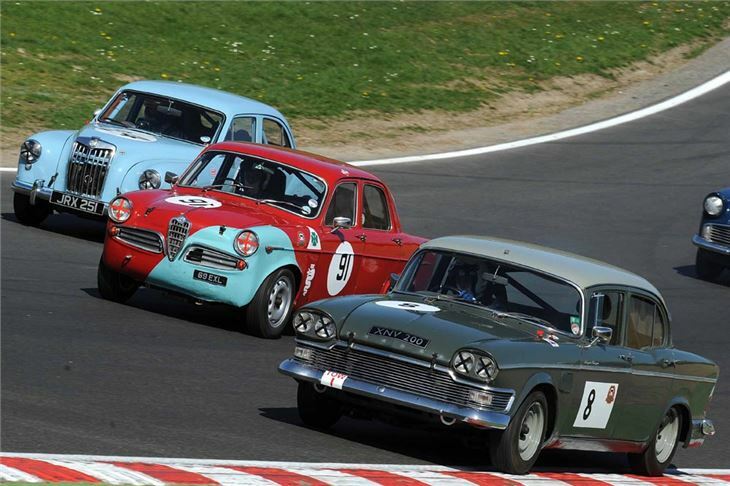 Two packed grids - for pre-1960s Touring Cars and pre-1966, sub-1500cc, GT Cars respectively - offered a diverse range of cars in two, thrilling 30-minute races on the Brands Hatch Indy circuit. 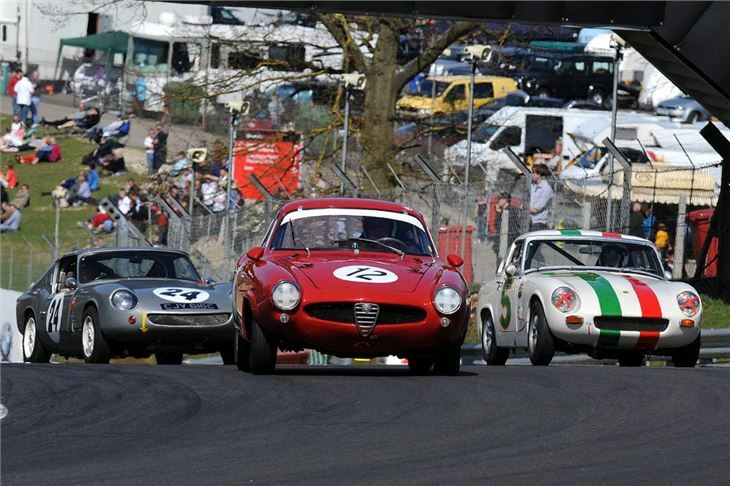 'Touring Greats' presented a 30-car race grid made up of no fewer than 23 models from 15 different marques. Such was the sight of this diverse grid hurtling its way down Paddock Bend, that more than one spectator was overhead to say "this beats BTCC hands down." 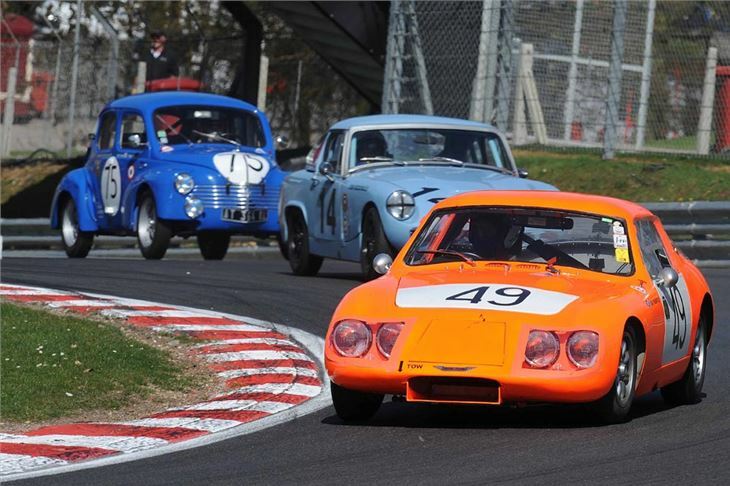 'Grand Touring Greats' produced an equally diverse grid of 'pocket rocket' GTs, augmented by a class of sub-1000cc Touring Cars. 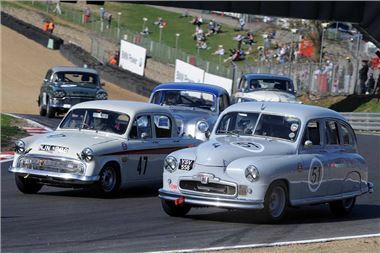 The ensuing race-long battle between Rae Davis (in the unique, lightweight WSM Sprite) and Shaun Rainford (in his exacting recreation of John Brittan's 'SS1800' Lenham GT) was resolved in favour of Rainford, who dedicated his win to his old friend John Brittan - an emotional but fitting gesture to the past owner of Brands Hatch. 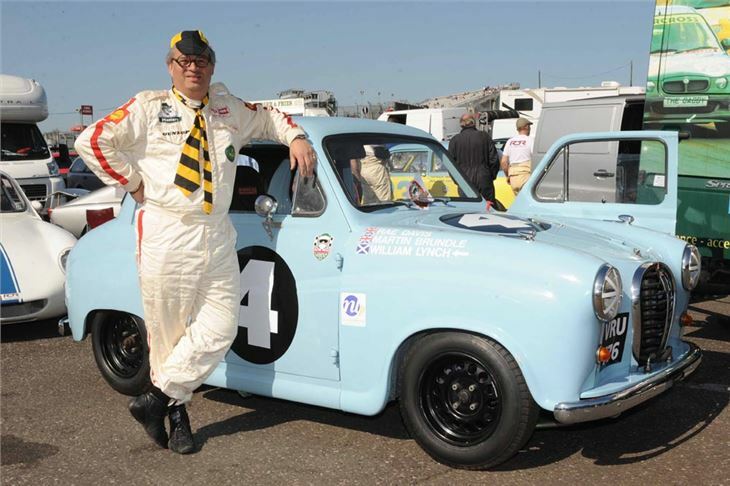 HRDC's Racing Director, Julius Thurgood, commented: "This is exactly how historic racing should be - a celebration of racing history carried out with style and true camaraderie." The HRDC moves on to Mallory Park on 30 May for the Motors TV race event, which will be broadcast live to 39 countries in six languages.